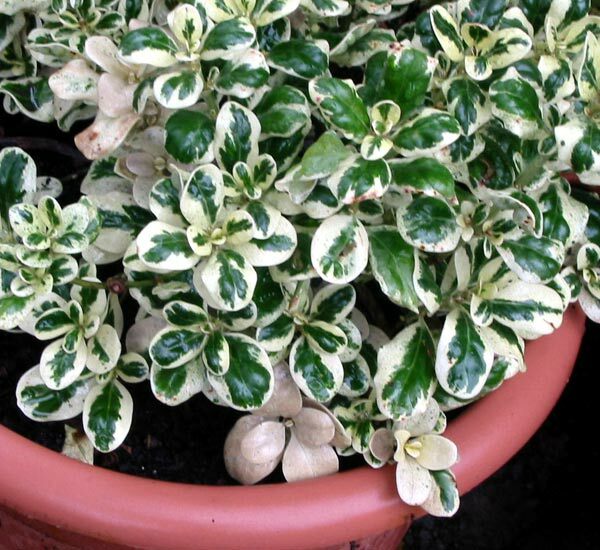 This variegated Coprosma is living in a pot for now, sheltered from the winter frosts. I also have several larger New Zealand native Coprosma shrubs growing in the Wattle Woods. The colours of the leaf variegation are very subtle - cream and green. This would be one of my favourite Coprosmas - a pity it's a little frost tender, or I would definitely grow it more in the mixed borders of my garden. I have other coloured hybrid coprosmas which are tougher - they grow in pots or in the garden.